Liz was airlifted from St. Michaels, Maryland where the accident took place, to the University of Baltimore Shock Trauma Center. The first responders were not expecting her to live. 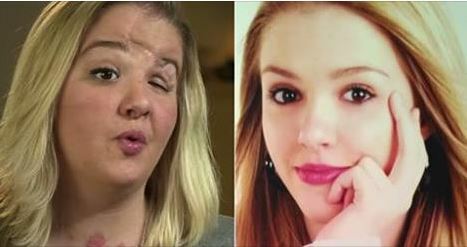 Liz sustained a traumatic brain injury and overwhelming facial trauma, requiring her to remain in the ICU for one month, undergoing surgeries to reconstruct her face and skull with titanium plates. She then spent almost three months at the Kennedy Krieger Institute relearning the most basic human functions: reading, writing, walking, talking, swallowing and even chewing. Left blind in one eye, Liz has also lost some of her hearing, cannot smell, create tears, or even go to sleep on her own without taking medication. Liz was a “normal” high school student before the accident, going to high school games, parties and bowling with friends. Liz was a good student, popular, a role model for her peers and even did some modeling. The most distressing thing for Liz after the crash was that slowly her friends disappeared, off to college and to new lives without her. She became depressed, felt all alone and even had to beg people on Facebook to be her friend. She recovered, however, and has used her strength and determination to carry her story and no texting while driving message to others.